I was making lunches early in the morning, and I knew I wanted a straightforward, no frills, very basic blue cheese dressing over a super crunchy salad. Something my grandmother would have enjoyed — familiar, simple, and tasty. I grabbed romaine lettuce, carrots, celery for crunch, as well as italian flat leaf parsley and red onion for flavor, and I got to work. 4 baby carrots, cut into wheels. 1 rib of celery, coarsely chopped. 2 slices of red onion, quartered. 1/2 english cucumber, quartered lengthwise and sliced. 1 fistful of fresh italian parsley. 2 T blue cheese, crumbled. Since I was making two salads, I doubled all of the ingredients listed above. I mixed up two jars of blue cheese red wine vinaigrette, and then I started chopping. 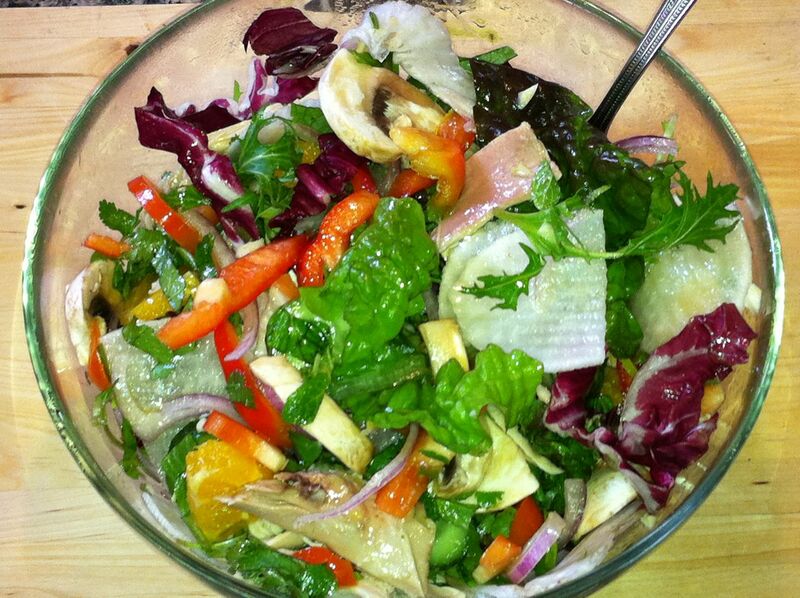 I began by creating my beds of chopped romaine hearts, and then I added the carrots, celery, onion, and parsley. I crumbled the blue cheese and sprinkled it on top of the salad, before cracking black pepper over it all. I nestled my husband’s salad dressing jar in the larger glass container with the salad and popped the lid on top to keep everything fresh for lunchtime. I tucked mine in the fridge for later. This turned out exactly as I intended. 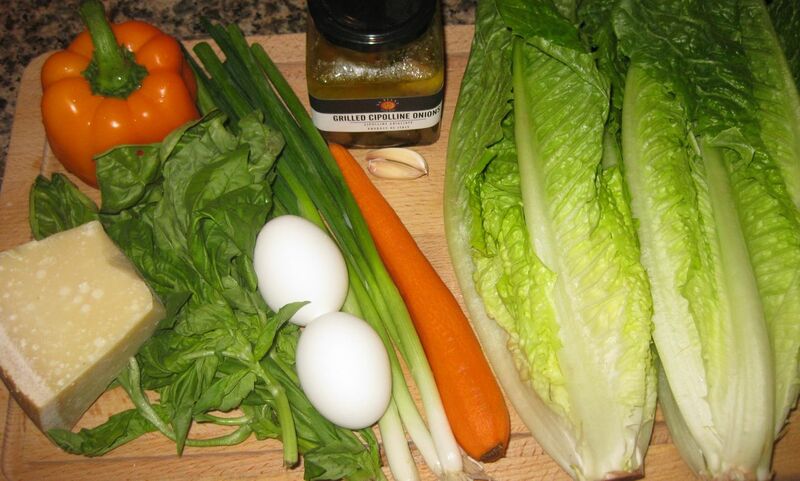 Very creamy, savory salad dressing and powerfully crunchy veggies. 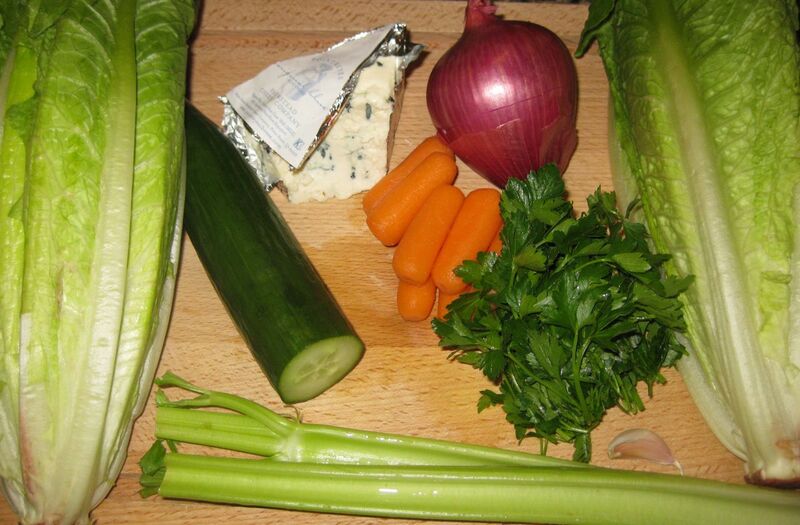 Celery is highly underrated — I really appreciated it’s crisp flavor with the blue cheese. 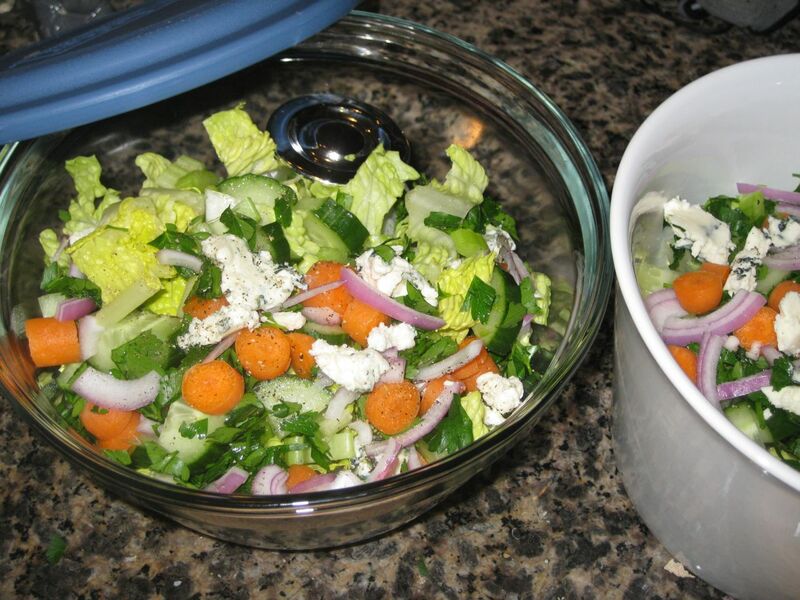 I think this salad was a bit boring for my husband, but as he always says, my worst homemade salad is always far tastier than anything he can get from a quick lunch restaurant near his work. Done. 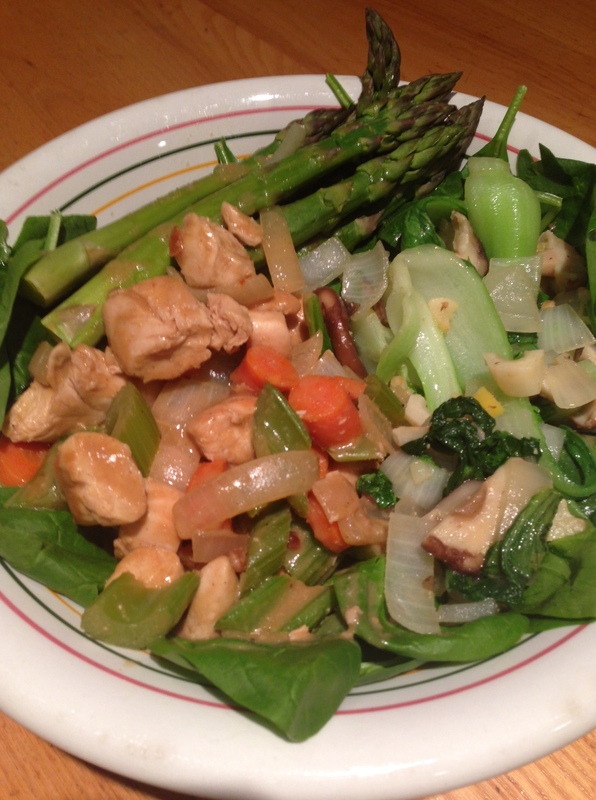 If you want to amp up the protein, add some chicken breast, or deli meat, or kidney beans. I bought a jar of grilled cipolline onions in oil recently, just because they were next to the cocktail onions that were on my grocery list, and I was hungry, and they looked intriguing. The cipolline onions are very tasty, but other than randomly nibbling on them, I haven’t been quite sure how to use them. 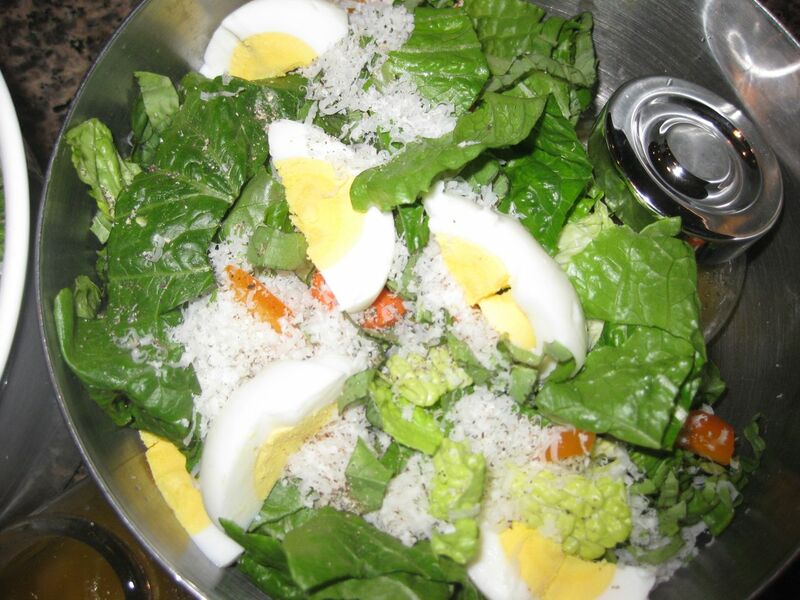 While trying to plan a lunch salad, the cipolline onions and a carton of hard boiled eggs caught my eye, and I got an idea. I wanted strong, strong flavors — the intensity of a Nicoise salad, but with a different palette. I pulled out the parmigiano-reggiano, and some vegetables, and got to work. 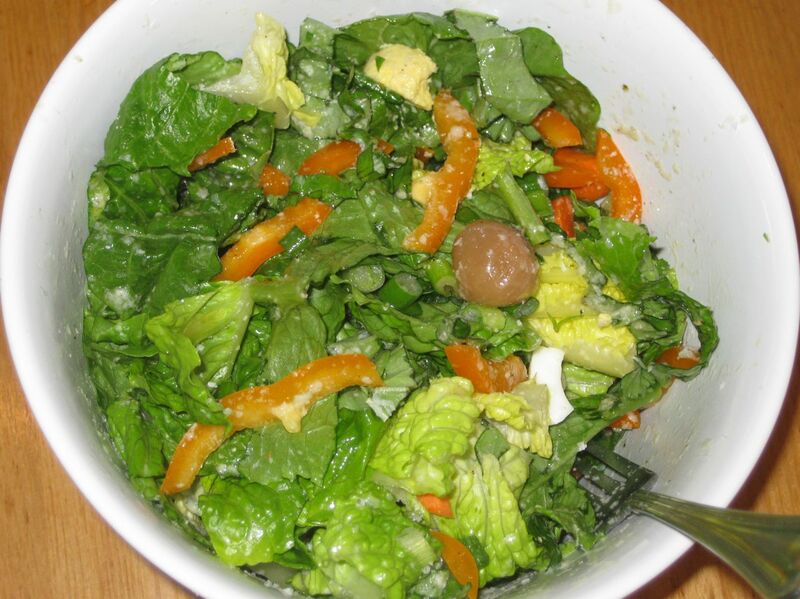 I knew this salad would need some serious crunch to measure up to the soft egg and the slippery onions, so I chose romaine and carrots to diversify the textures. 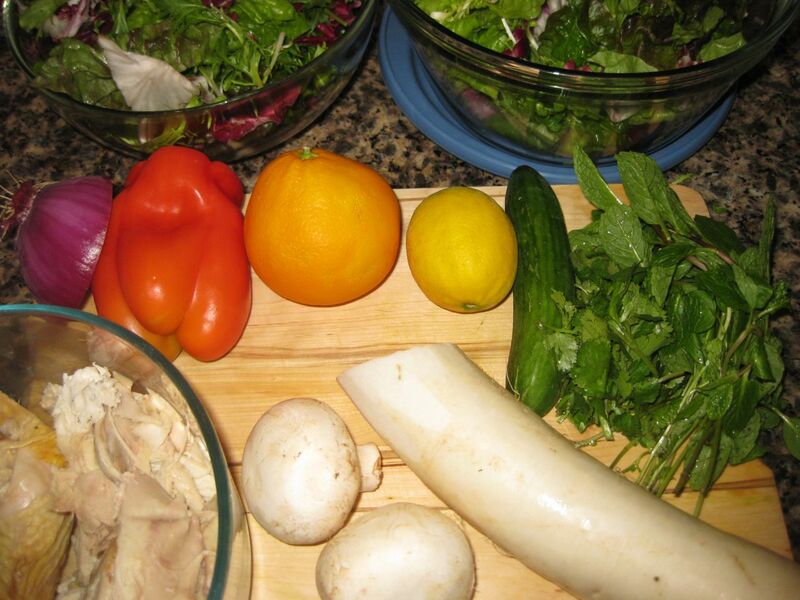 All the ingredients for two salads. 1/2 carrot, quartered lengthwise and chopped. 1/2 orange bell pepper, sliced. 1 hard boiled egg, cut into wedges. 1 T – 1/4 cup of fresh grated parmigiano-reggiano, to taste. 5 grilled cipolline onions, in oil. 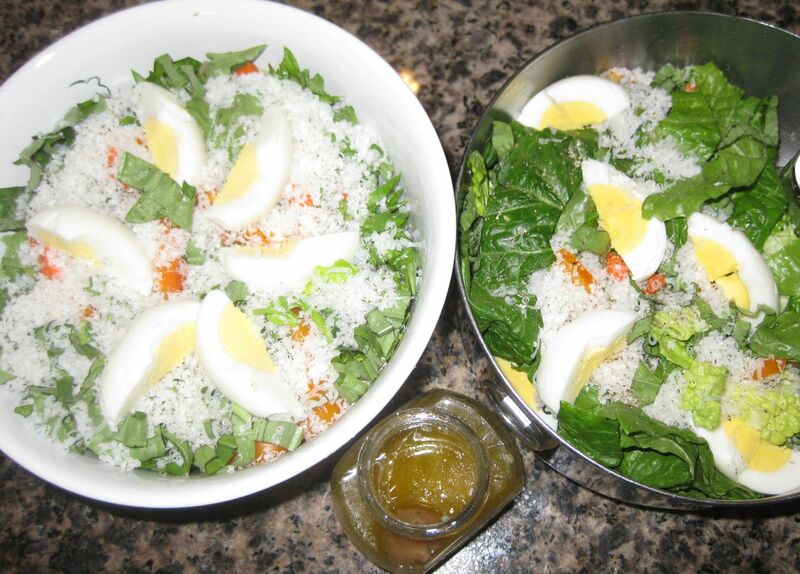 Two salads, side by side. I doubled all of the ingredients listed above, and prepared two lunches at the same time — one packed up to go to work with my husband, the other for me to enjoy later in the day. 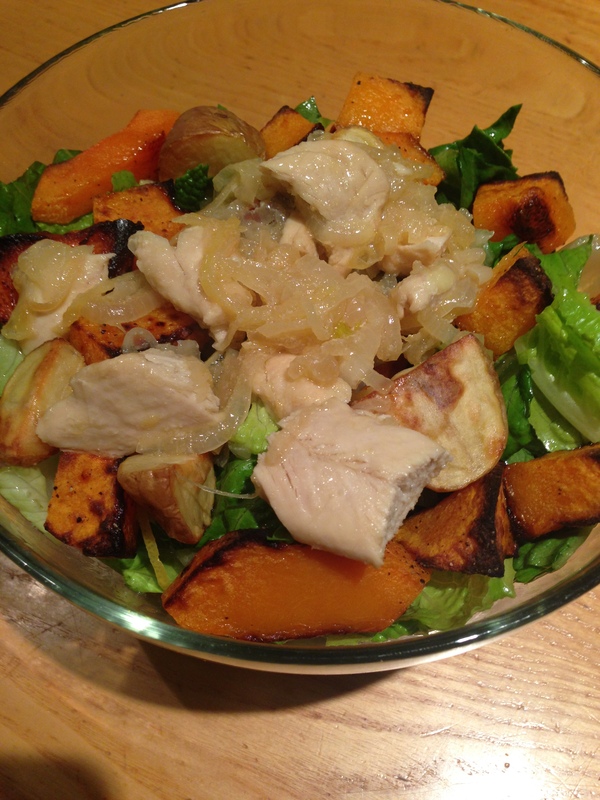 I started by making a nice hearty bed of romaine, and then I chopped up the vegetables and added them. I dusted it all with parmigiano-reggiano and black pepper, and then placed the sliced egg on top. I quickly mixed up my vinaigrette, nestling one jar in my husband’s packed lunch, and leaving the other on the counter for me. Powerful flavors. This salad was really delicious. I loved the egg and onion with the parmigiano. The carrot and romaine definitely played a key part. I’m not totally sure about the basil and the orange bell pepper — I think I could’ve omitted both, or maybe just added less of them. I’d like to try this salad again — it was really striking. Done. 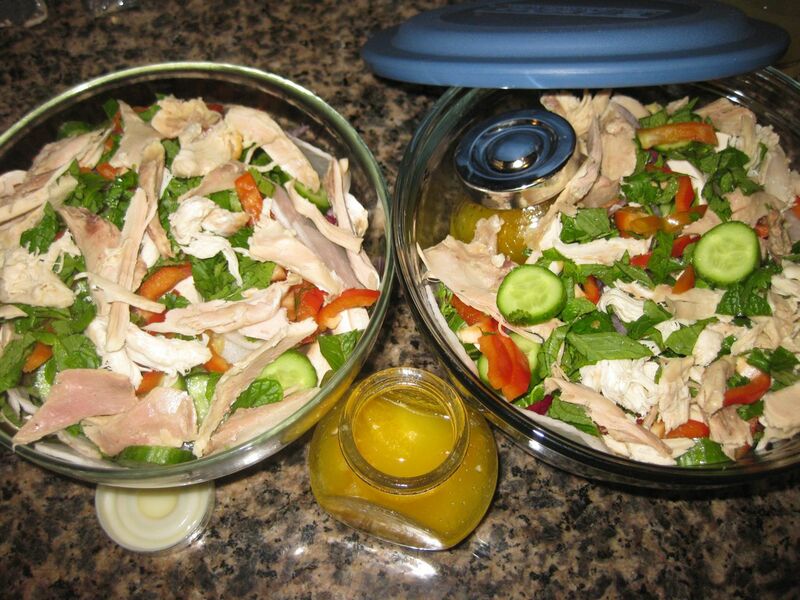 Just keep the dressing separate until you’re ready to eat, then add only as much as you need, fork toss (or put the lid back on and give it a few quick shakes), and enjoy.